How important is breathing? I know silly question, right? We would be dead if we did not breath. Yet, how often do we even notice we are breathing. Do we notice how differently we breath at different times. Not only that, but I’ve found that my body often craves oxygen. How often do you stop to take a deep breath? Try it right now – stop and take a deep breath. Fill your lungs all the way to the top and then gently let the air out.…. Notice anything? When I do that I relax automatically on the exhalation and I can feel that my body is happier and more nourished. This year at school I have been blessed with an extra art class and less time for everything else, In middle school this means no extra (prep) preparation time. I’m enjoying it immensely, truly, because stopping and breathing often is helping me get through all the fun and excitement that middle school provides. Then again, I happen to enjoy being around 6th graders. I know, it's crazy. 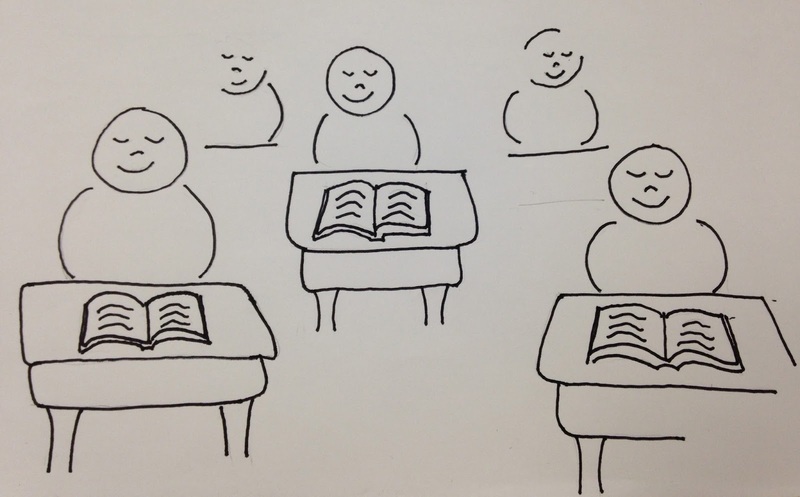 I’m also continuing to encourage my students to breath consciously. One helpful use of conscious breathing is during those pesky transition times when we are switching from one activity to another. For example, when we need to go from our Language Arts lesson to our Social Studies period. 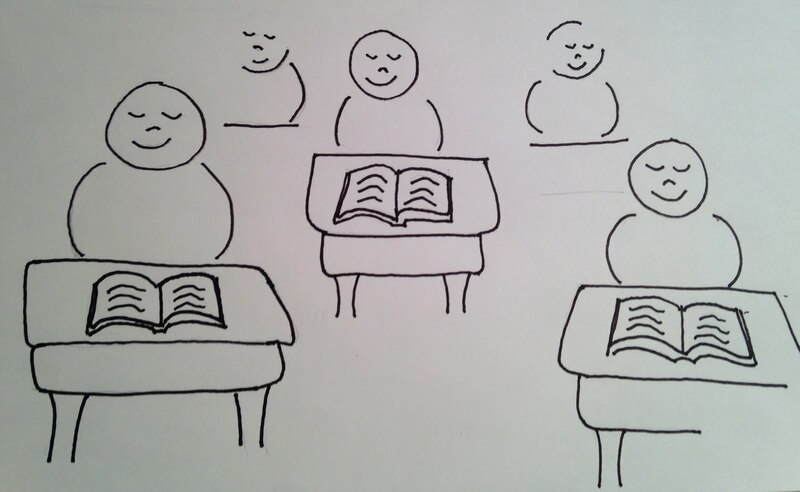 We stand up, we stretch, then comes that time when everyone needs to pull out their new materials and books. Why does it seem to take forever to pull out just a couple of items? There’s always tons of noise, talking, and distractions. This year I had an inspiration as I was waiting and trying to notice who or what was holding us up. 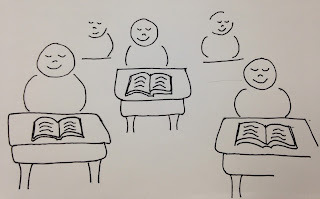 I just told the students, “If you are ready and waiting for your classmates, just notice your breath as you inhale and exhale and start counting you breaths.” Instantly, the class got calmer. The students that were dawdling or distracted all of a sudden had the space to concentrate on what they needed to do. Hallelujah! Now, we have that as one of the tools we use for getting ready. Yes, Education for Life has changed the way I teach irrevocably, the way I look at each student, and the way I deal with the energy in the classroom. This year I continue to rely on everything that I learned through Education for Life. Each school year has me using some of the same techniques I learned with EFL. I continue to use more experiential learning and a focus on instilling life skills into my students. Through it all I center myself and my students through our breath.